Discomfort during regular use of stairs is often the first symptom you may notice if you have a knee issue. Many underlying causes are harmless and can be ignored, however, the greater effort of stair use can quickly highlight more severe underlying ailments. Not all symptoms are created equal a knee clicking up stairs can point to several different causes some of notable concern and others being completely harmless. These very different causes are detailed below. There are several different conditions that can cause joint noises such as knee clicking up stairs. The most common ones include the following examples. It is important to understand that just because your knee is making clicking noises when you climb up stairs that doesn’t necessarily mean there is a serious underlying medical issue. The important thing to keep in mind is, “Are there any additional symptoms ?”. If your knee is clicking but there is no associated pain, swelling, or movement related difficulties then the cause may be of a nonharmful variety. Ligaments Tightening: some pops and clicks are caused by ligaments loosening as you move and they are stretched out. If your ligaments become tightened noise can be produced when you move. In many cases, tight ligaments are not a risk for any type of injury and may only necessitate mild stretching. 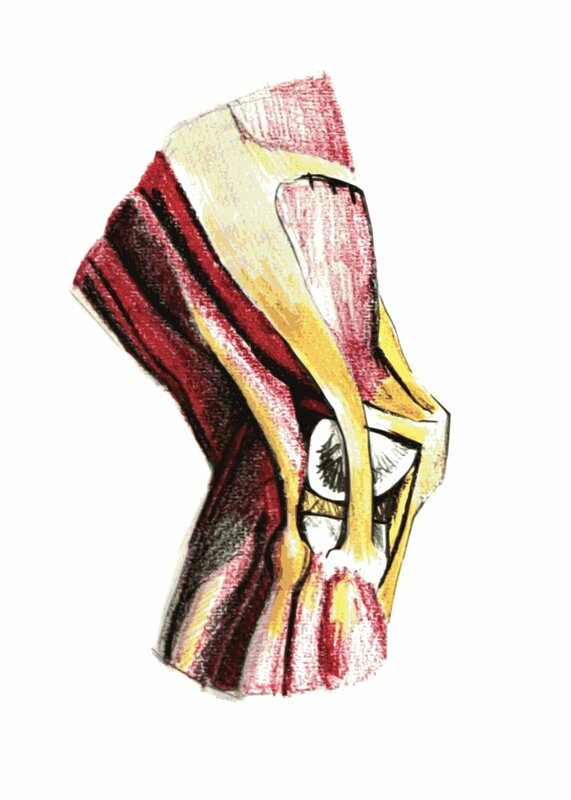 Synovial Fluid: your knee joint is not composed entirely of solid materials such as bone or ligaments. Synovial fluid is a white viscous liquid that serves as your joints’ natural lubricant. As you move gas can escape the fluid causing clicking noises. This is completely harmless. Cartilage Rubbing: as you age cartilage can grow unevenly in the knee joint. This causes no pain but due to the cartilage being uneven when your knee is bent it can create clicking or cracking noises. In other situations, knee clicking can be caused by much more severe knee related ailments. These conditions are accompanied by several other more painful symptoms. Osteoarthritis: this condition is caused by the general degeneration of your joints with age and the gradual breakdown of cartilage in the knee. Osteoarthritis can cause knee clicking, swelling, pain, and make stair use very difficult. It is not a condition that can be fully treated but home care can reduce the impact of its symptoms. A Torn Meniscus: the meniscus refers to the cartilage discs in your knee joint. Tares to the meniscus are common in athletic activities or in situations where the knee is bent at odd angles. Common symptoms include joint noises, the knee feeling weak, swelling, pain, and a reduced range of motion. Depending on the severity of the tear it can heal on its own but surgery may be required. Runner’s Knee: caused by the kneecap being out of alignment. Runner’s knee is often accompanied by clicking noises, mild pain, and swelling although in mild cases clicking may be the only symptom. It is a condition that is caused by strenuous physical activity, bad posture, and deformities in the knee itself. It is a common injury and can be relatively mild overall with at home treatment adding in a faster recovery. Depending on the cause of knee clicking up stairs several different treatment methods can be employed to treat the underlying issue. As noted above not all causes are medical in nature, however, for clicking caused by medical problems the following treatments can help. At Home Treatment Methods: PRICE standing for protect, rest, ice, compress and elevate. PRICE is a common treatment plan for knee ailments that is easy to perform at home. 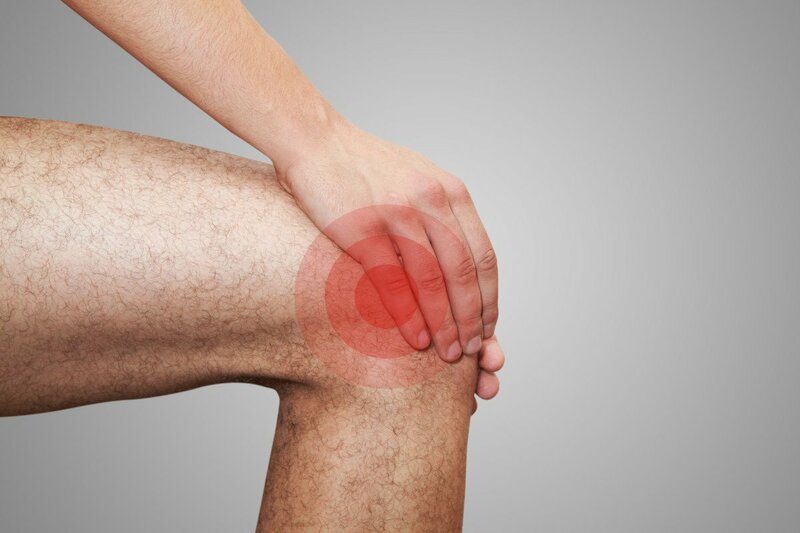 For mild knee injuries PRICE helps reduce swelling, reduces inflammation, and can assist in the healing process. Over the counter, anti-inflammation medication can also assist in pain relief. Physical Therapy: in cases where a longer recovery time is involved (such as ligament tears) physical therapy can assist in the strengthening and recovery process. In addition to carefully designed exercises, massages, stretching, knee braces, and bands can also be used to assist in the healing process. Workouts: in many cases, knee clicking can be caused due to a lack of joint and associated weak muscles. Regular workouts can stretch out the joint, strengthen muscles, and improve overall physical health. Surgery: in rare cases, corrective surgery may be required. Note that this is often only for the most severe of knee injuries and only in cases where the knee will not (or cannot) heal on its own through other less invasive treatment methods.